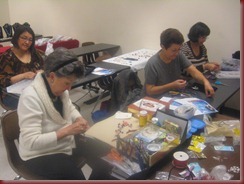 I’ve been teaching jewelry design classes at Montgomery College for a couple years now. 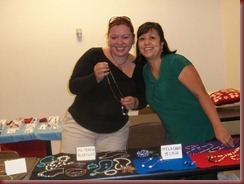 I have to say it’s been one of the most rewarding experiences to teach people how to make jewelry. It’s therapeutic and gets your creative juices flowing. All you need to do is bring yourself !! Please, trust me on this one I guarantee you’ll love it. And if you don’t want to take my word for it take a look at some of the shots I’ve taken of my students! With the pictures I’ve taken of my students and thanks to some tips from Entrepreneur magazine (I would be so lost without their trusted articles) I put together a video. I’m REALLY proud of my video. And hey, maybe next time you’ll see me putting up jewelry business tips on YouTube .